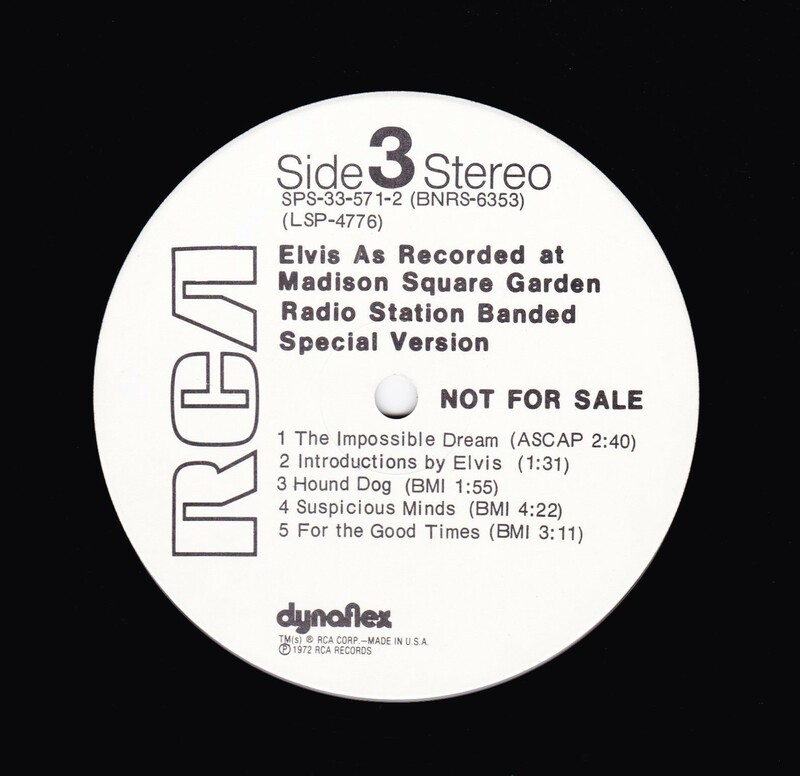 ​​Elvis: As Recorded at Madison Square Garden is a live musical album recorded by Elvis Presley and released in June 1972 by RCA Records peaking on the charts in July 1972. 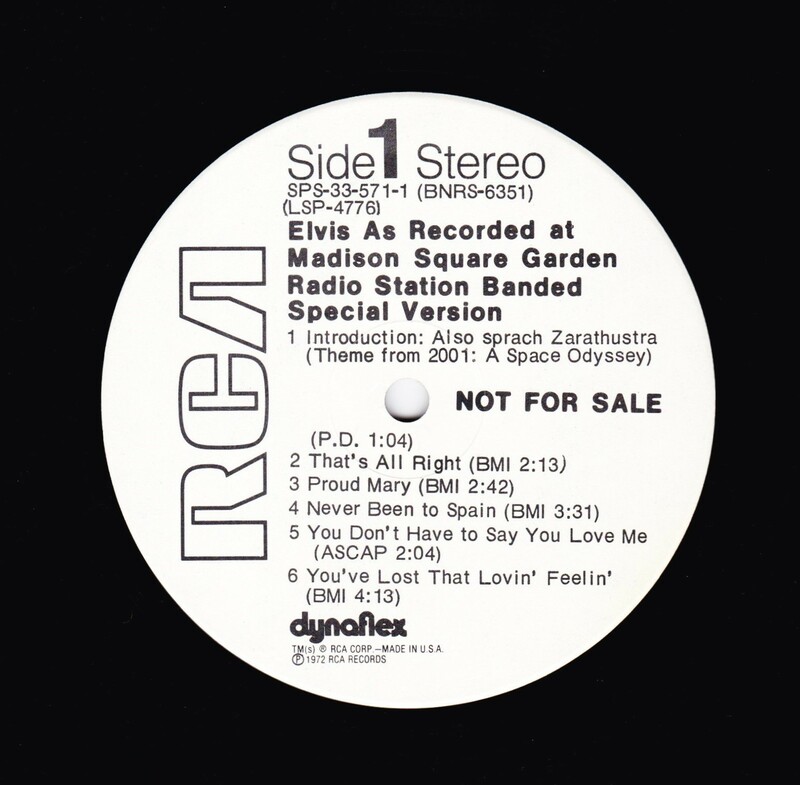 Recorded at the Madison Square Garden arena in New York City on Saturday June 10, 1972, the concert, and the subsequent album, were promoted as being Presley's first live concerts in the Big Apple since the 1950s. It was certified Gold on 8/4/1972, Platinum on 5/20/1988, 2x Platinum on 3/27/1992 and 3x Platinum on 7/15/1999 by the RIAA. Front Cover : Stickers with song titles. Promotional album Not For Sale. 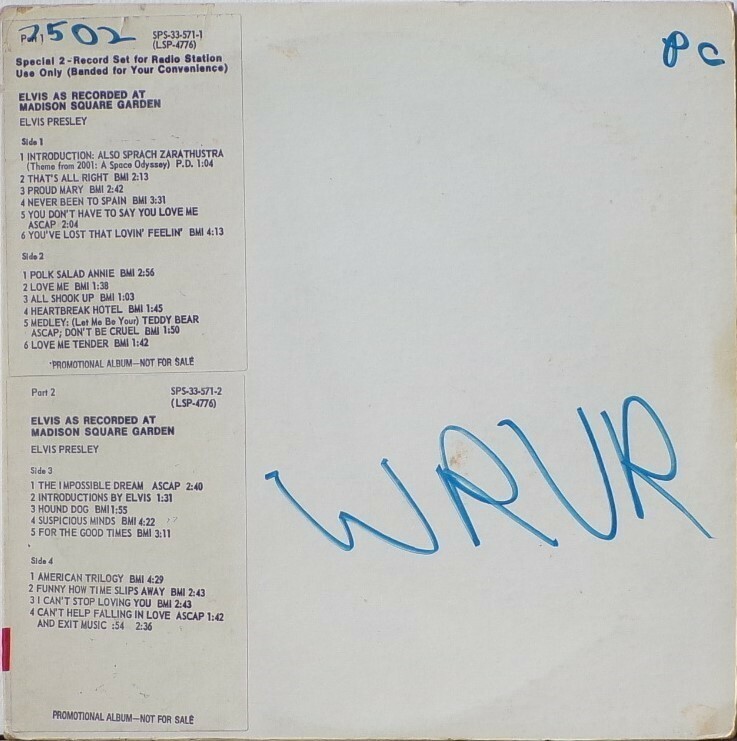 Radio Station WRUR in marker pen. Catalogue number top left. 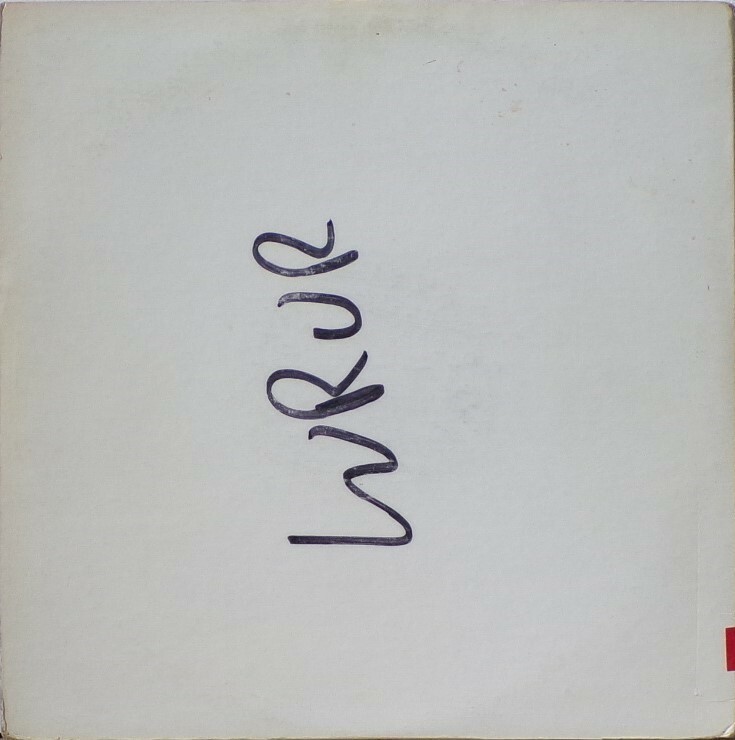 ​​Rear Cover : White with radio station WRUR in marker pen. ​Label : White. Dynaflex vinyl. *NOTE* 2 Record Set. Promotional Album. Not For Sale. 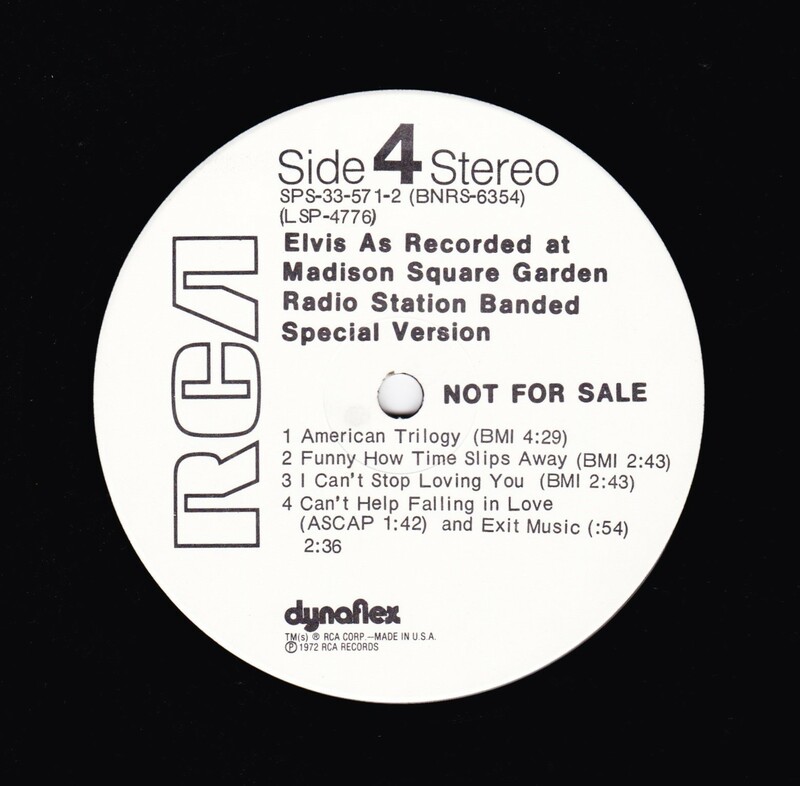 This was a special 2 - record set for Radio Station use only. This was a "Banded" version for the radio stations. 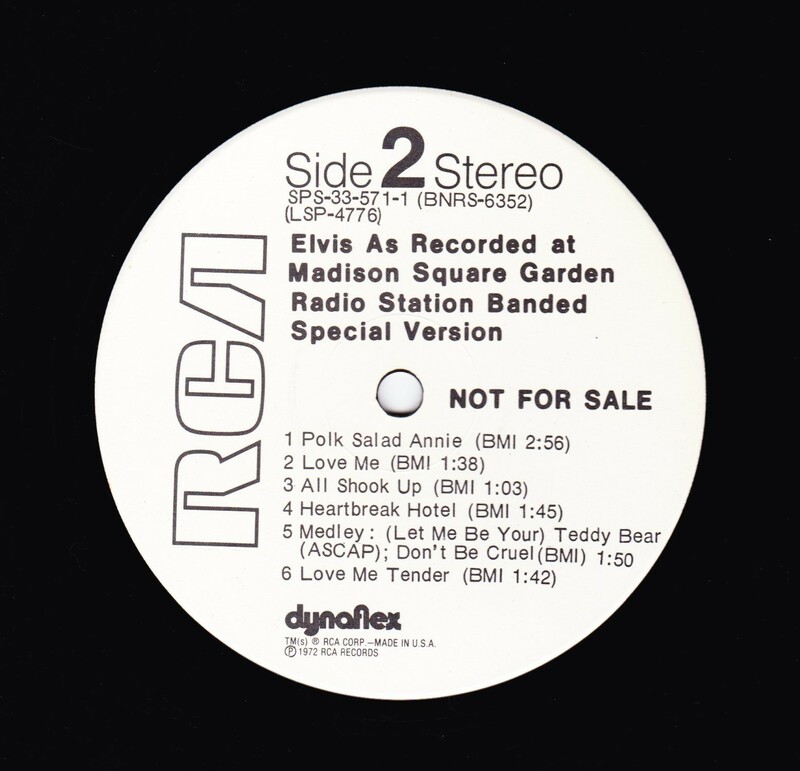 Issued in a gatefold white sleeve with only 2 stickers on the front showing the song titles and that it was a promotional copy. White labels with "Not For Sale" on them.